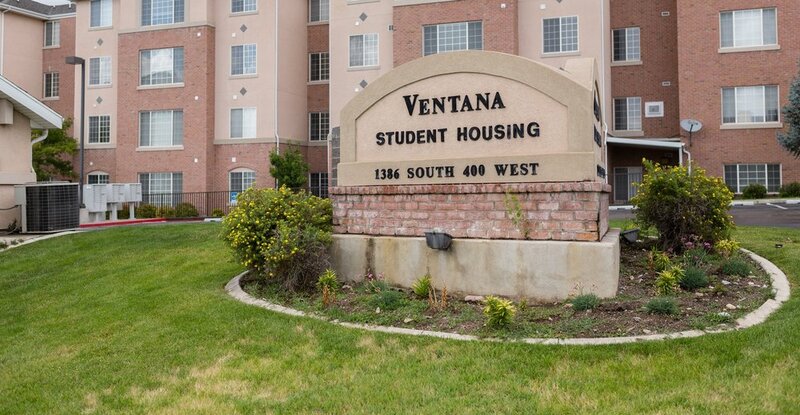 Ventana Student Housing offers the best of luxury student housing, with its furnished private bedrooms, full-sized washer and dryer, granite counter tops (in most apartments), tile floors, large pantry, spacious closets, and much more. Come enjoy our resort-style pool and spa, clubhouse with fitness Center, pool table, and a great social scene. Each apartment includes four private bedrooms with large closets. Each unit has two full-size bathrooms with separate shower and vanity for privacy. The living room, dining and kitchen are open to create a bright modern floorplan. © Copyright 2017. Ventana Student Housing. All rights reserved.